Prior to this summer I had never seen a Silver Y Moth before, but I saw quite a few Silver Ys this year (either that or I saw the same indivdual lots of times). A couple of times I found one in the house, and so tried to get some 'studio' shots of it. Unlike most moths, the Silver Y is a day flying moth (and also a night flier), so trying to get it onto a piece of paper and maneuver it into a position suitable for a photo didn't work too well, as the moth would just fly away. I did eventually manage to get a number of 'studio' shots of the Silver Y moth by putting out a teaspoon with honey, which it then stood on and supped away at the honey. 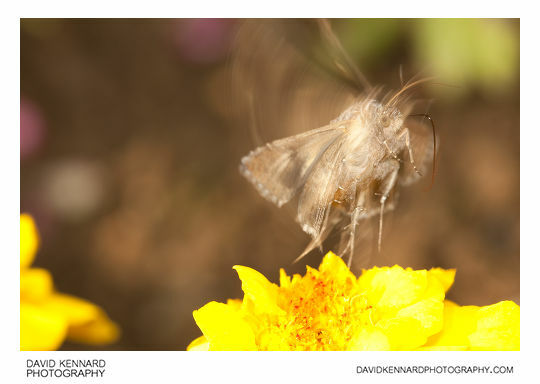 Rather strangely, one day I took 2 photos of a Silver Y feeding on Marigolds, and in both shots the Silver Y is just taking off. 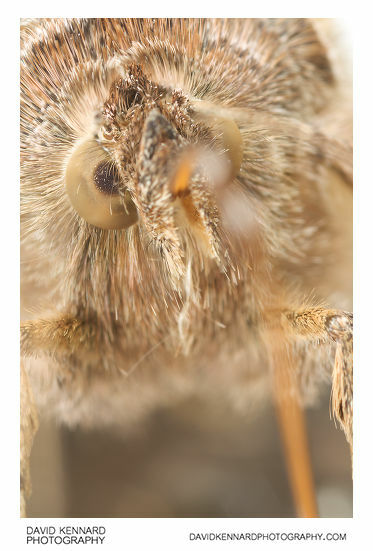 I have heard that if you have your flash in E-TTL mode, the pre-flash can cause the moth/butterfly to jump, so they are just taking off during the actual photo. But in my case I was using Manual Flash, so there was no pre-flash. Either getting the two shots of the Silver Y taking off was co-incidence, or it must have heard the shutter opening and got spooked, but that would be an extremely quick reaction time. If you're wondering how I can be sure that the flash wasn't in E-TTL mode (where it would have fired a pre-flash), I checked the EXIF using ExifToolGUI, and in the Maker Notes section the value of 'FlashBits' is 'Manual, External' (plus I don't use E-TTL with the MT-24EX flash anyway). Unfortunately the Silver Y feeds and moves on from one flower to another very quickly, making getting any shots of it where it's not sitting on a spoon eating honey quite difficult. Hopefully I will see them again next summer and be able to try and get some 'environmental' shots. Very cool images & video! I came here doing some research for a blog post of my own where I have a video of a moth enjoying some sugar water: National Moth Week: Mmm… Sugar Water! [VIDEO]. I never knew they had such interesting tongues! 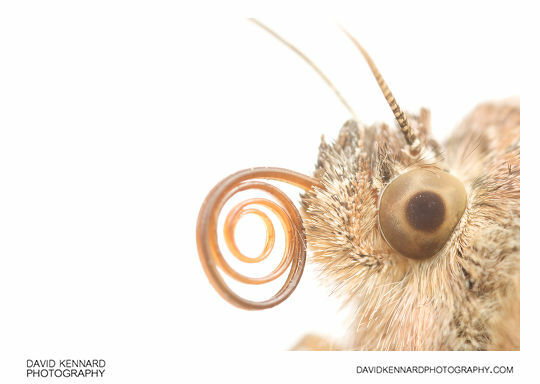 You might also be interested in NationalMothWeek.org. 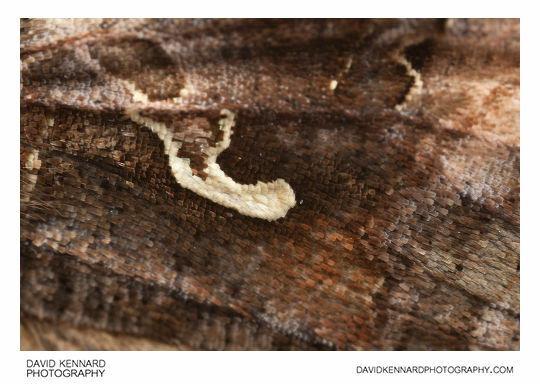 I checked the National Moths website, I never knew so many people were so enthusiastic about moths!